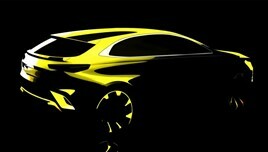 Kia has revealed the latest member of the Ceed family, a new crossover that will be launched later this year. Based on the new Ceed platform, the new model will be a rival for the Ford Focus Active and Volkswagen T-Roc. "It will the play the role that’s needed to make the Ceed range stronger and even more exciting, more appealing, to European consumers. Kia's new XCeed model will come at a time of further growth for the Korean manufacturer's range. The new Soul EV made its debut at the Geneva Motor Show 2019 and is expected to go on sale across Europe towards the end of Q1, delivering a 280-mile zero emissions range for potential customers. To the end of February, Kia has already out-paced the UK market with registrations up by 8.9% YTD to 11,609, following a record 2018 in which a total of 95,764 vehicles were registered - up 2.7% on 2017.